Okay let’s get started. I am pleased to be talking with Evan Urbania, the CEO of Chatterblast Media, a social media marketing and online strategy firm whose clients range from small businesses to Fortune 500’s, and non-profits and government entities. Evan first became an entrepreneur in his teens when he produced and recorded over forty albums for local musicians. Additionally, he is active in both non-profit and business communities as the co-founded of The Memoria Project, a non-profit effort to memorialize the lives lost on 9/11. He is also the president of the Independence Business Alliance which is greater Philadelphia’s LGBT Chamber of Commerce. Evan, I have given the listeners a brief overview of who you are, but why don’t you tell us a little bit more about yourself and your business, and what that path looked like for your that led you to where you are today. Sure, thank you. I guess when I was young and in high school I always knew that I wanted to be an entrepreneur and most of the time I didn’t even know what that word meant. But I always knew that I liked building things, and being involved in new projects and being part of a team and also doing things on my own. And kind of as my bio says, when I wrote that my business partner and I, we joked about it and put it on our website, but it is kind of true. And when I was in high school, in my summer of my last year I ended up buying a bunch of audio recording equipment at a time when digital had just become accessible to the general public. And I said, “Mom and Dad, can I build a recording studio in my basement?’ And of course they looked at me like I was crazy, but ultimately I did because I got away with everything anyway. And kind of figured out how to put this stuff together and buy this gear and spend all of my savings and market myself. And I lived in the small town of Rumson, New Jersey, and the town nearby Red Bank was a big arts community. And there was a lot of local artists and musicians and theatre. And so I found a way to just get connected to them and bring them into my space and I decided to call the company Sigma 6 Recording after the Pink Floyd band which was their name before they chose Pink Floyd and I was real fond of them back at the time. And you know really learned kind of graphics marketing, learned technology, learned how to put things together to deliver services, and I was doing it all when I was like 18 and 19, and I ended up taking a year off between high school and college to facilitate that whole experiment. Ultimately decided I needed to go get my degree, and I’m very glad I did. But that’s kind of just the beginnings, or some of the earlier beginnings of what led me to where I am today which is still the same theme, the same theme, the same vein of building things and creating things and bringing people together, and having fun along the way because I love that kind of stuff. So now I’ve got Chatterblast Media and we’ve been in business now four years, and that was started on kind of the heels of the social media revolution. Realizing that businesses need help when it comes to social media, and we started out by- as usual, by iterating things. You know making something small and then building it and growing it and adjusting and adapting it. But we started out by saying, ‘Okay look, Facebook is here and Twitter is here, and all these online tools have been around for a while; how do we leverage this for businesses?’ And my business partner and I, we figured out that we could develop content and we can manage properties and develop strategies, and you know figure out how to deliver these services; and we did. And as a result we’ve grown substantially in the last couple of years, I’ve got six employees now. We have a really wide range of clients but kind of in the same vein of my recording studio days, you know it just began with an idea. It started by trying and ultimately found a way to make it work. And it wasn’t without any failures, it’s always kind of a journey and a process, not just an event. Absolutely. That’s a great story and it really does highlight your journey on this path, so that’s really interesting. Before we get into more the serious questions that we’re going to discuss in a couple of minutes, what is one fun fact about you that very few people know or would expect from you? That’s a great question. I think- again going back to my childhood years when I was in eighth grade, I was always a tinkerer; kind of the same vein of my entrepreneurial skills. And so I loved like legos and I loved building blocks, and I loved taking apart things. My parents would always scream at me because I would literally go on trash day and take washing machines out from my neighbor’s house and take them apart in my garage to figure out how they worked. But when I was in- I was eight years old I entered a contest to build a new lego design to the lego company. And I ended up winning, and one of my designs became a lego design that went into the Lego boxes and there was like a check for $10.00 given to me by the Lego company; which always to this day kind of surprises me. But I guess- I actually have a Lego design to my name. That is awesome, that’s pretty fun. And Lego is actually based right here in Connecticut, so that’s interesting. I actually have a four-year-old son who is exactly like you’re describing, so when he’s eight I imagine he’ll be in the neighbor’s trash pulling out washing machines as well. I’ll give him all my old tools. Oh good, he’ll love that. So my next question is what was your ‘ah-ha’ moment. And based on what you’ve said so far, you’ve been talking about how being an entrepreneur is kind of just in your blood. But did you have an ‘ah-ha’ moment when you realized that this is what you should be doing, and entrepreneurial life is what you should be pursuing? You know that’s also a really great question. I don’t think I ever had one ‘ah-ha’ moment, I would say I had an ‘ah-ha’ process, and I can still describe it I think in an interesting way. You know I grew up, again going back to my childhood, in a town where like everyone went and went to work in New York or went to school and went into finance. And a lot of my friends, my artistic people and creative folks and sculptors and musicians, kind of went in a different path and I watched that for awhile. And when I graduated from college, I took a job doing management consulting and it was actually very inspirational for me because the two founders of that company were corporate execs who had gone out on their own and built a company from scratch and started getting really big projects all around the country and technology which was fascinating to me at the time. And so in my normal pathway was go get a job out of school and do your work and climb the ladder and maybe find an exit or an opportunity or something that takes you in a new direction. And I kind of always knew deep down inside that I wanted to be my own boss; not because I’m a control freak, at least I don’t think so, but because I really like again that attitude of building and creating things and getting people around that. So my ‘ah-ha’ moment was I guess when I was in between jobs at some point, later in my mid-twenties, and I was really kind of doubtful and disappointed because I felt like my career path- even though it was successful and my resume looked great, it was really all over the place. You know I had a recording studio and I had a non-profit project and I had management consulting and I did some work doing the business development at an architectural firm and they were all amazing experiences. But I found that there wasn’t a natural path; I didn’t graduate and go onto Wall Street, work my way up and become a stock broker or become an accountant or whatever that way in the usual path. And so when I was job hunting I found that it was really tough to tell my story, for people to understand me. Or they looked at my resume to really understand what skills I had and interests I had. So like that to me- and I talked to a lot of people about that and I guess I realized at one point a couple of years ago that I’d made this unconscious decision to take this pathway. And at the time it was unconscious and now to this day of course it’s very conscious that doing something different and being unique and exploring your different skills; well it sounds kind of cliché and simple, it’s really, really important and you don’t have to be afraid about what that looks like to other people as long as you can tell that story and stand behind it. And ultimately again, that ‘ah-ha’ moment came and I said, ‘You know I’ve been talking about and thinking about and dreaming about being my own boss and building my own business, and what am I waiting for?’ And so at that point it was really when I turned to all of my friends and my advisors and colleagues and they supported it 100%. Once I had that it was kind of a no-brainer. So that’s a really interesting path that you took and I think that it’s great that you’re embracing all of those previous experiences because as you said, a lot of people do take that traditional path and I think- and I too have taken somewhat of an unconventional path. So I totally get it and I think what you were talking about in wrapping it up and being able to tell that story is really important. Yeah and I think the other thing to make sure it’s clear to everyone that’s listening, that I actually think both paths are fine, and there really isn’t one right one of course. It’s really about tapping into what really makes sense for you in your core. Because I see so many people that take a more traditional path or are unhappy with their work or unhappy with their jobs or colleagues, but they think there’s no other way and conversely I see people that want to be entrepreneurs and want to try to do lots of different things but like can’t ever really make it gel and would actually, in my mind, be better off in a more structured environment at least for the time being. So I think it takes a lot of self-discovery and a lot of thinking and experimenting, and not being afraid to give up. I think people always say, one of the things we’re always trained and programmed to say is, ‘Don’t give up. Keep going.’ And I think the smart thing to do is to figure out when it is the right time to give up and change direction. And it sounds like defeat and it sounds like throwing in the towel but it isn’t; it’s about learning. That’s a really interesting point and I think the whole self-discovery piece is absolutely huge because it’s a matter of finding what is right for you. And like you said it’s not- one thing isn’t right for everyone. And as long as you’re open to and being receptive of those signals and signs that say, ‘Maybe this isn’t the right path, let me correct course here.’ I think that obviously it makes people better for it. So along these lines, what inspires you and keeps you motivated to continue to do what you’re doing each and every day. You know I’m really inspired by the pace at which things are moving today. I think the opportunities that are in front of us in terms of creativity, in terms of business, in terms of innovating and finding out an opportunity for you to separate yourself. I love that. I love working with creative people because I just get so much energy and inspiration from the people on my team or my clients, or my partners, and trying to find new ways to solve problems. I think challenges are really good things and again that sounds kind of simple. But if I’m not being challenged personally and finding some kind of level of difficulty in everything we’re doing, then I think it becomes mundane and boring. So I guess I just get inspired by the difference of- the varying things that are happening out there, the marketplace which I think is changing quickly, the LGBT business movement certainly- and especially here in Philadelphia, gives me a lot of hope and motivation to be successful and to support my community as well. Absolutely. And what is one piece of business advice that is the best piece of advice that you’ve ever been given? Can I give you more than one? I think the best piece of advice also came to me more in a process, which is that I’ve always surrounded myself with people that I can trust and rely on and call on for advice. I just think- and it’s really, really critical to have a team of support around you; especially if you’re going out on your own or trying something different. And that doesn’t happen overnight, you know it’s kind of Relationship Building 101. But I just want to reinforce that, especially in this digital age when people are coming up and spending more time on their cellphones and on Facebook and Twitter and that’s good for me- trust me. But I think it’s really, really important to build those relationships, to rely on your community to give and get as much as you can. Because when we started our business, the first people that came in line to support us were friends and members of the LGBT community and business owners were in the same spot. So having that support is really, really critical. On a more practical note, I think being very, very focused on your passion is really critical too. Don’t do something that you don’t want to do, and don’t do something that you’re not passionate about because it really shows. And people invest and buy individuals, not companies and services. I think the one last story I’ll tell is I always joke about my one good friend Michael, who is very successful and owns a lot of property and has a number of businesses. He’s now in his late-sixties. And he always instills on me to be frugal and to save and don’t buy expensive things, and it’s kind of the running joke in my community. And it’s worked really, really well for him because he’s done extremely well. But I remember when I started my business he pulled me aside at one point and said, ‘Evan, if it wasn’t for a couple of things that I did in the beginning of my business, I wouldn’t be here today.’ And I said, ‘Well what’s that?’ He goes, ‘Well, when I first started my business no one was coming to me, no one was buying services and I couldn’t get anything. It was impossible for months.’ I said, ‘So what did you do?’ He said, ‘Well I took all of my money and I bought a brand new Cadillac. And I started driving around Philadelphia in a brand new Cadillac so that people would think I was doing well.’ And of course again, knowing a little back story, coming from him, Michael would be very happy driving an old beat-up Hyundai for the rest of his life. But he did this and he said, ‘As soon as I started driving around town everyone started coming to me and business kept rolling.’ And so in some ways it’s kind of funny and counter again to what we’re told but having that perception of success is just as important as being successful, but then of course parlaying that into real success is an interesting balancing act. So I always appreciate that little bit of advice, too. That’s interesting and actually another one of the interviews for this project, somebody had mentioned that perception is everything is one of the key pieces of advice they’ve been given as well. So that’s definitely right up there. You mentioned a couple of things about community and being involved and how some of the first supporters of your new business venture at the time were the LGBT community. 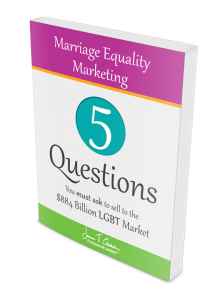 So switching gears a little bit, for listeners who are looking to market themselves to the LGBT community, do you have any advice for them that would help them be successful? Yeah I think there’s a lot of discussion and obviously you’ve got a lot of advice and expertise in marketing to the LGBT community from a strategic and tactical level. I think the piece that I can share is clearly the community-driven side. It is about making sure you’re getting involved in your community. I think giving back to the community and making sure that you’re moving outside of the community. Again, let me see if I can explain that. 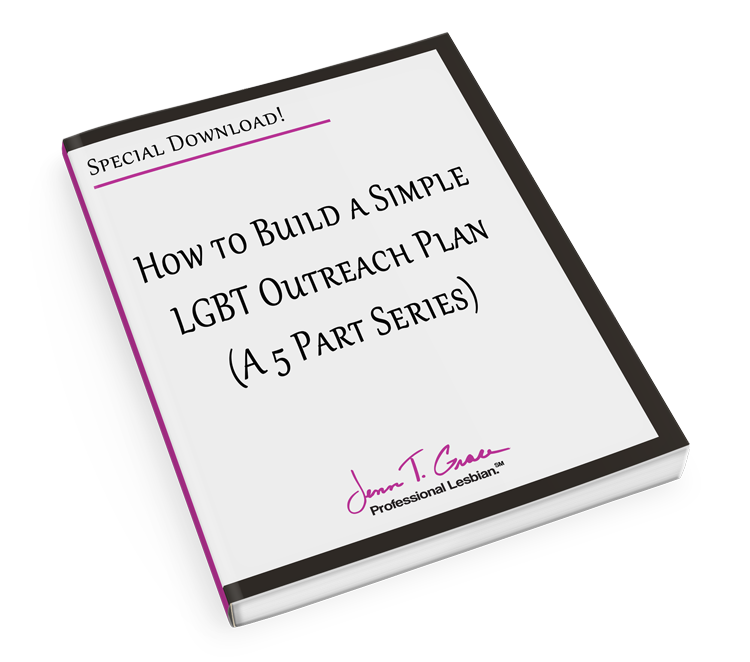 I think especially in places where there’s a dense LGBT population it’s very easy- or it can be very easy to get connected to a lot of LGBT professionals, business owners, and folks for these relationships and opportunities. But the key to that, I think the real good way to do that well is to bring other parts of value to the table. And I can talk about the IBA right now in Philadelphia. One of the things that our members are really clamoring for is not to just continue to network and connect with each other, because we’ve been at this now for five years and there’s of course lots of new members coming in and people cycling out. But I think the real key is what other relationships can I bring outside of my core LGBT community or friends for example, that I can bring to the table and matchmaking and connecting people both in allied worlds and different business industries and being a bridge or a connector I think really, really goes a long way for everybody because we’re all just about diversity and of course we’re all about expanding opportunity, and the more you can kind of do that individually and with some real thought, I think that makes a huge difference. And then clearly when we built our company it was going to be LGBT-owned, front and center, it was going to be giving back to the community, still maintaining a professional stance on everything and that’s really worked well for us and I think being clear about that, especially now, is more important than ever. I’ve had more people in industries and personality types that you expect to be very much close minded about who I am and what kinds of communities I’m involved in, be exactly the opposite. And so I think that bit of courage and pride and openness goes in both direction and goes a long way. Absolutely. And as an LGBT person yourself and noting that you were founded as an LGBT business, how have you been able to leverage that status? Well I would say that the NGLCC of course, and your local chamber, has made a big difference or can make a big difference in that. We are a certified LGBT-owned business and that’s provided some opportunities, some doors, that’s been really important. 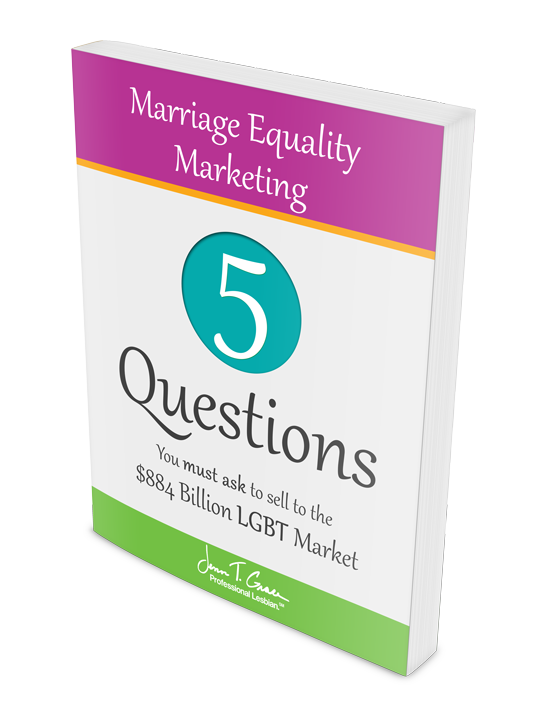 But I think the best way to leverage it is to utilize and do business with more LGBT-owned businesses yourself. So again in my industry, in my neighborhood, there’s a ton of LGBT-owned businesses and I make sure that I always kind of go to them first and work with them and connect with them. 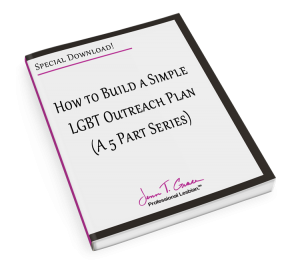 I think being involved in an LGBT business movement, whatever that is, whether it’s your chamber or your workplace advocacy group and volunteering, that stuff goes a long way. You know at the end of the day of course though, when it comes to doing business with big businesses or even mid-sized ones for us, it isn’t about LGBT status, it’s about the quality of the work you deliver and making sure you stand behind that. So it’s about for me, the community side and pushing the agenda of strengthening strong business communities and making sure you’re giving back to that, but also being really clear that you are a business owner and you’re focused on the skills and the trade and the expertise that you’re bringing to the table. And you mentioned being an LGBT-certified business. So if somebody is listening to this interview now, and is unfamiliar with what that is, how would you describe that and what would one benefit of being a certified business be? Yeah sure. So the certification process began I guess maybe ten years ago, maybe a little bit less.  But it was started by the NGLCC in DC and it’s modeled after the WeBank model of the Women Minority Owned Businesses. And basically the process is that once you’re certified you have the opportunity to connect with hundreds of Fortune 100 or Fortune 500 or Fortune 1,000 companies that are basically putting procurement policies in place to accept, acknowledge and recognize LGBT owned business as part of their diverse supply spend. So if you’re able to business with larger companies, now you have a doorway and an opportunity to get connected. And for us it’s actually- I’ve been able to leverage it at least once or twice and I had big plans and intentions to put more energy into it from a business development tool. It’s not easy, it takes a lot of work and lot of effort, but you’ve got to really- I think the message it sends to your community and the message it sends to fellow business owners and the corporations is huge. On the flipside to that, in Philadelphia especially, we have a lot of our corporate partners- major financial institutions and banks and pharmaceutical companies- that even if they don’t have the ability to go through the procurement process of buying services, they’ll still find other ways to support LGBT-owned businesses and that to me is really huge and I think that’s kind of the whole shift of what’s happening here in this business movement. Absolutely. And when you were talking about it before, and saying that you try to patronize fellow LGBT business owners where you can, especially since you have a large community of them in your particular area, in Philadelphia, that’s just part of that whole process of being a Tier One supplier, so you doing business with some large company and then of course all the businesses that you’re doing business with become that Tier Two of that supply chain. So it’s really important and for those listening who are looking for these opportunities, sometimes being the Tier Two supplier is a lot easier, a lot less work, and more rewarding than having to try to have the capacity to be that Tier One supplier. So as we’re coming to a close here I have just a couple more questions. And the first is what is one business book or a program or a tool or anything really that has transformed the way that you do business? Well specifically I would say that a year ago I started working with a personal coach; someone who is working with me on my leadership and my business and my relationships. And that to me was probably the most eye-opening and life-changing experience I ever went through. And it’s so similar to if anyone works with a personal trainer for your body, it’s the exact same thing except for your business muscle. And finding that person and whether or not you can afford it, or someone that does it pro bono as a friend, I think that that’s just huge and it can make a really, really big difference because I think books and programs and all these other tools are wonderful and I’ve read a ton of them and I get something out of all of them. But I think the consistent effort put into you every week by an outside force who knows you and can challenge you and support you is really, really huge. And there’s a lot of- in the community centers in and across the country, the LGBT community centers, there’s a lot of work going on in mentoring and personal peer-to-peer support; and so it’s really no different. I think again leveraging our community. If you can find someone who’s been successful and can serve as an advisor, or be a mentor and a mentee, informally or formally. That to me is just huge and I think we should all, as business owners or professionals, both give back and receive that; we’re entitled to that, and that’s what’s going to make our communities really strong and flourishing. And I think it’s about being clear about that and asking for it; not being afraid of it, not feeling weak about it. But my business coaching has been just one of the most transformative things for me because I still have a long, long way to go and I’m just starting to chip away at some of the real important stuff here, and I’m excited about that. I would absolutely 100% agree with you on that. And I think for me personally it was also a transformational experience when I first hired a business coach, and that was probably about a year and a half ago. It’s one of those things that like you’re saying, when you have that constant outside influence who is there to give you that gut check and tell you when what you’re about to do or attempting to do, may or may not be the right choice for you. Or providing their experience and guidance, and as you said if you can afford a formal relationship then by all means, but there are plenty of people out there in the community who are willing to be that informal mentor; and I have that as well. And I think that’s been absolutely huge in building my business. So what is one thing in your business right now that’s just really exciting? Well for me one of the things that I’m trying to really focus on- and I think this applies to almost any business, is building value, right? So it’s really easy to get caught up and to deliver your services or consult or sell and kind of maintain that and grow it and build it into a way that becomes successful. And on the surface that looks successful and your numbers can grow and your employee count can grow and all that. But what I’m really interested in is where is kind of the value that can go on without me, or without the key players of the company. And so I’m talking about intellectual property, or processes or client bases or a team that’s really, really valuable. That doesn’t always necessarily mean that there’s a sale or an acquisition or any of those traditional exits that are out there. But I just think it makes everything different when you’re building something that can really sustain and can stand on its own. And that’s why all of the biggest brands and biggest companies or the most successful ones, that’s how they operate. And so right now what I’m excited about in the next six months is uncovering and peeling that onion a little bit and seeing where the value of Chatterblast, in our company, can really be and not just necessarily focus on being a service delivery mechanism. And I encourage everyone to really think about that regardless of what business you’re in. It’s kind of humbling also to find a way to take yourself out of it because then you really see the true value of what you’ve built. So that’s exciting. I guess on the more tactical side, I am excited about Philadelphia and what’s happening here. I think the economy is really strong and I’m looking forward to like hiring more people which we’re doing this week. I just think that’s such an amazing feeling and opportunity. I’ll be honest with you, I cried the first time we hired our first full-time employee. Probably for multiple nights just thinking about it. And now that I’ve kind of broken that barrier it’s become a little bit easier. I think the other thing that’s really just exciting in general, and I think I mentioned it earlier, is just the speed at which technology is moving and communications are going and while that can be overwhelming to a lot of people, I think there’s a ton of opportunity if you can just find a way to leverage that on your own regardless of what’s happening. And also just really finding balance in your work and life; and I actually hate using that word, I don’t like saying the word balance because I don’t think balance comes until maybe you’re dead. But I think there is definitely a definition there that does make sense for people, and running around too hard and working without satisfaction- we’re all in this for the reason to satisfy ourselves. You come first and then everything else. So focusing on yourself and finding ways to make yourself happy; not only successful but happy is really critical too. That is some great advice and I thank you so much for taking the time today to talk with us and give us all this great information and advice. But before we go, why don’t you give yourself a plug and let everyone know where they can find you or your business. Sure, so it’s real easy. We are at www.chatterblast.com and as you mentioned earlier we are a social media strategy company, online marketing. We do the creative stuff behind social media, the monitoring, the analysis, the strategy, the training and the support for all kinds of businesses and we enjoy that diversity. 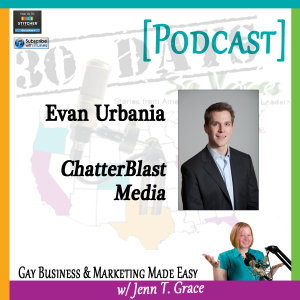 You can find me on Twitter personally @TheUrbanian – that’s TheU-R-B-A-N-I-A-N. And our company account which is really the one to follow is Twitter @Chatterblast. And we try to have a lot of fun there, so please be sure to check us out at www.chatterblast.com and @Chatterblast on Twitter. Excellent thank you again for your time, I greatly appreciate it. Thank you so much, Jenn, I appreciate it too.